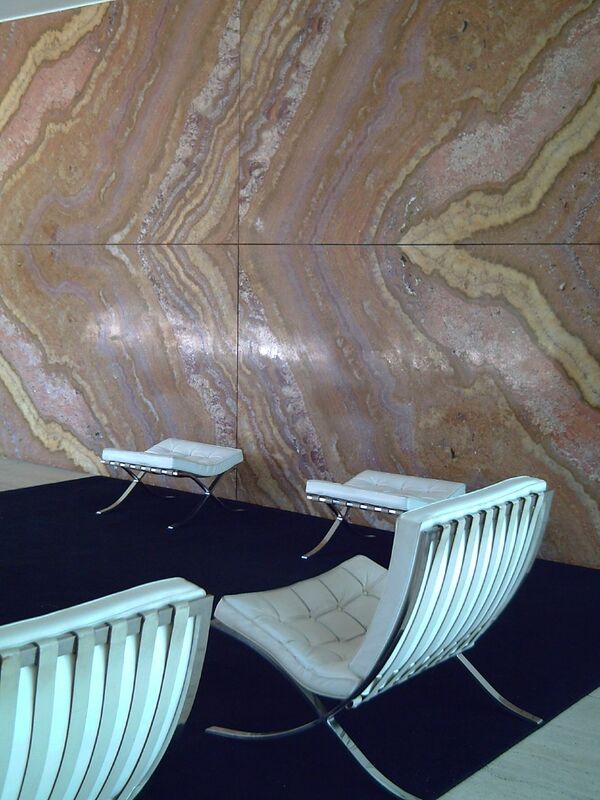 Here is another view of Mies Van Der Rohe Pavilion, mentioned back in August in these two posts: Ludwig Mies Van der Rohe Pavilion in Barcelona and Barcelona Chair by Ludwig Mies Van der Rohe. You can admire the beautiful design of the Barcelona Chair from another angle here. I hope you enjoy the work of this reknown German architect as much as I do. In case you didn't notice, this is the City of Barcelona flag.